Weekly group meetings are held Fridays at noon. Problem sets, literature review and research are discussed in an informal setting. 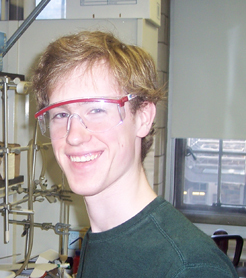 William Brow (wbrow@princeton.edu) is a 3rd year graduate student. 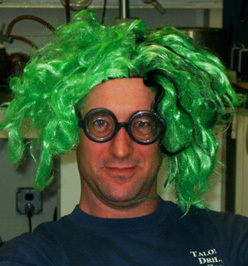 He received a BS in Chemical Engineering and a BS in Chemistry from North Carolina State University in 2001. He spent two years with Shell Deepwater Services as a drilling engineer with the Well Delivery Unit designing, planning and supervising the installation of deepwater ( > 2000 m water depth) oil and gas exploration wells in Gabon, Namibia, Brazil, Trinidad and the Gulf of Mexico. He is now working on targeted synthesis of analogs of AI-2, a molecule posited to be a bacterial interspecies communication signal. 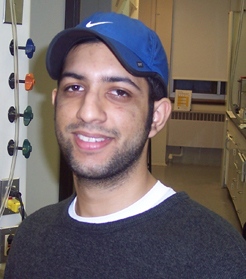 Jaidip Chakravartti (jchakrav@Princeton.EDU) is a senior undergraduate student. 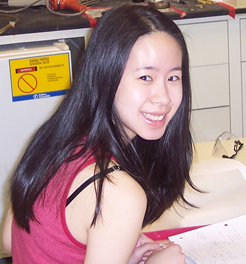 Karen Jeng (kjeng@Princeton.EDU) is a junior undergraduate student. 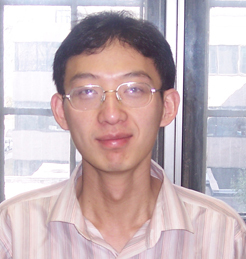 Yongfeng Li (yongfeng@Princeton.EDU) is a postdoctoral research assistant. 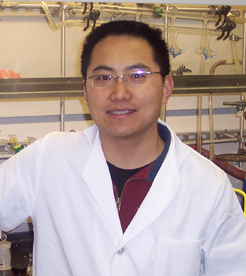 Wei Wei Liao (wliao@Princeton.EDU) is a postdoctoral research assistant. 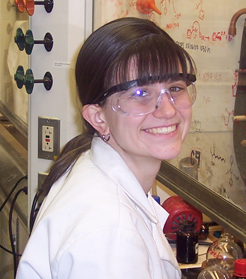 Megan Pomianek (pomianek@princeton.edu) is a 3rd year graduate student.